To view the number of days remaining in your evaluation of Windows Server 2012 when using Server Core, enter this command: slmgr.vbs -dli. -dli stands for display license information. 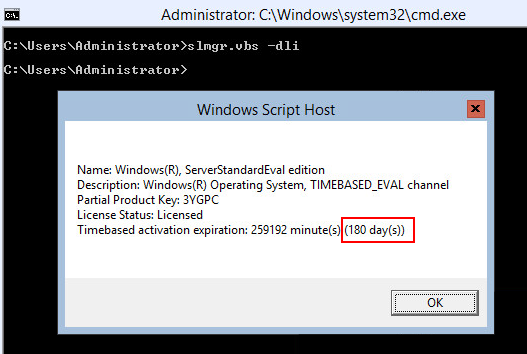 In this example, Windows Server 2012 has not been activated and there are 180 days remaining in the evaluation of Windows Server 2012. Type slmgr.vbs -ato and press enter. 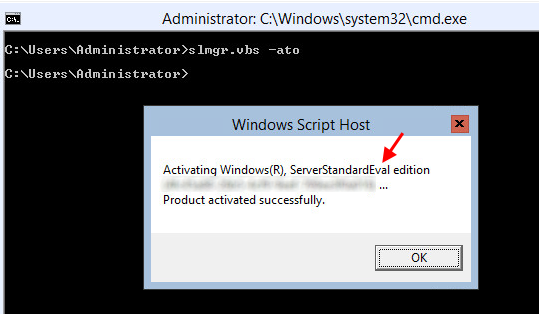 If you are using an evaluation version of Windows Server 2012, "Eval" will be displayed. There is no option or need to enter a product key in an evaluation version of Windows Server 2012. You will need to upgrade to the full retail version of Windows Server 2012 to be able to enter a product key and not have a limit of 180 days of use. Command dism /online /Get-CurrentEdition can also be used to see that the current edition is ServerStandardEval. Enter this command to upgrade to the full retail version of Windows Server 2012 : dism /online /Set-Edition:ServerStandard /ProductKey:XXXXX-XXXXX-XXXXX-XXXXX-XXXXX /AcceptEula. Replace XXXXX-XXXXX-XXXXX-XXXXX-XXXXX with your product key. If everything goes well, you will get a message "The operation completed successfully." Press Y and press enter to restart the machine. 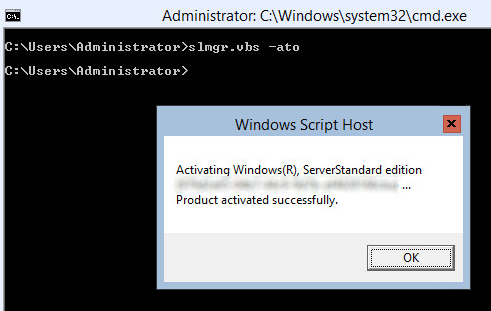 Command slmgr.vbs -ato can now be used to verify that the version is ServerStandard and not ServerStandardEval. 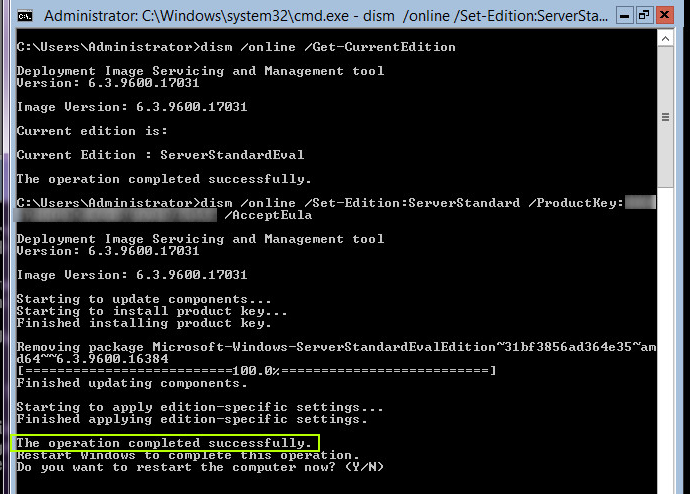 Command dism /online /Get-CurrentEdition can be used to verify that the machine has been upgraded to the ServerStandard edition.